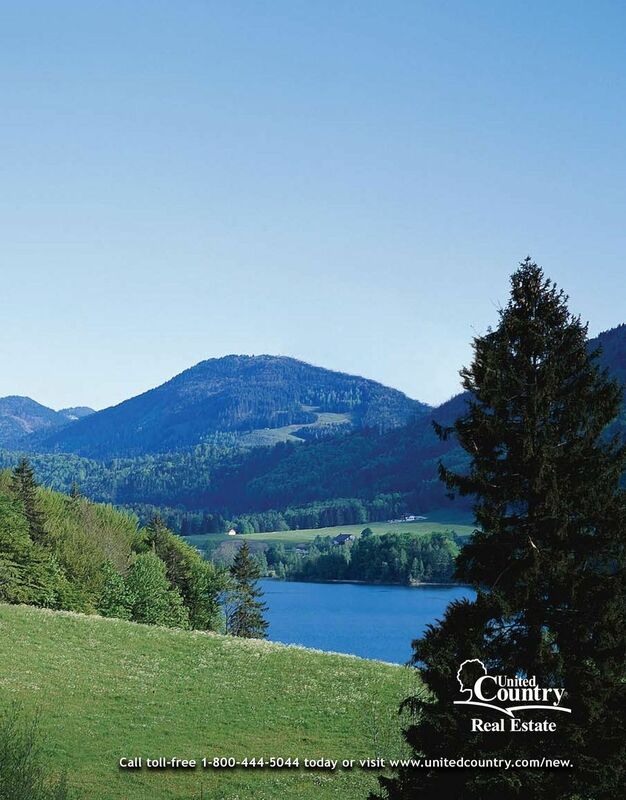 3 difference United Country can make in your life. 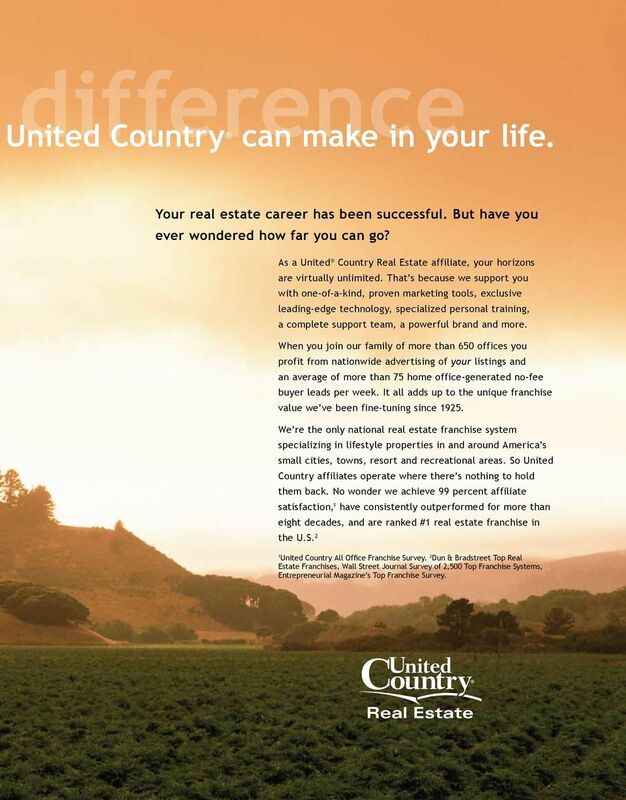 Your real estate career has been successful. But have you ever wondered how far you can go? 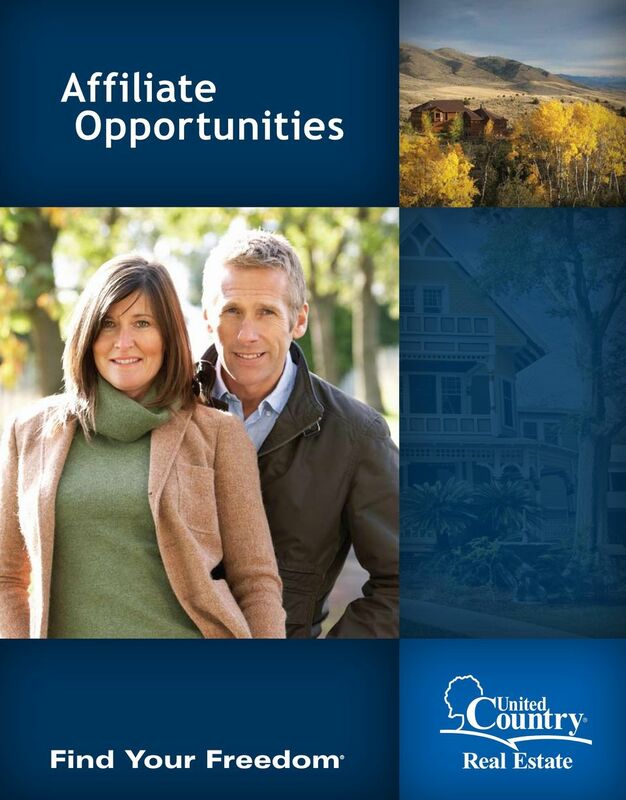 As a United Country Real Estate affiliate, your horizons are virtually unlimited. That s because we support you with one-of-a-kind, proven marketing tools, exclusive leading-edge technology, specialized personal training, a complete support team, a powerful brand and more. 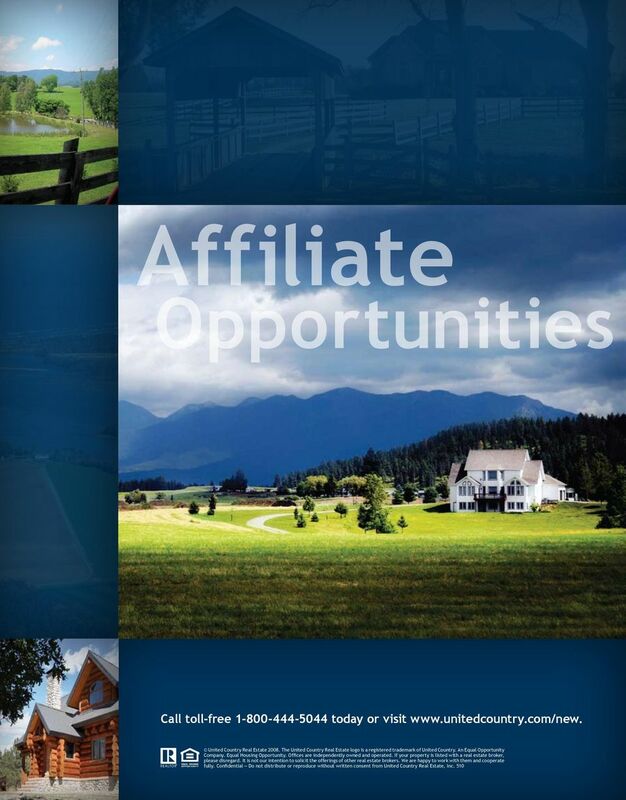 When you join our family of more than 650 offices you profit from nationwide advertising of your listings and an average of more than 75 home office-generated no-fee buyer leads per week. 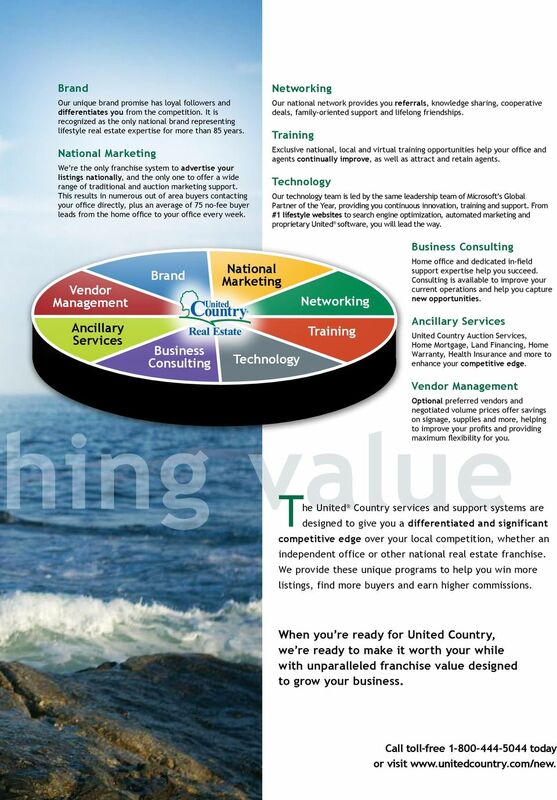 It all adds up to the unique franchise value we ve been fine-tuning since We re the only national real estate franchise system specializing in lifestyle properties in and around America s small cities, towns, resort and recreational areas. 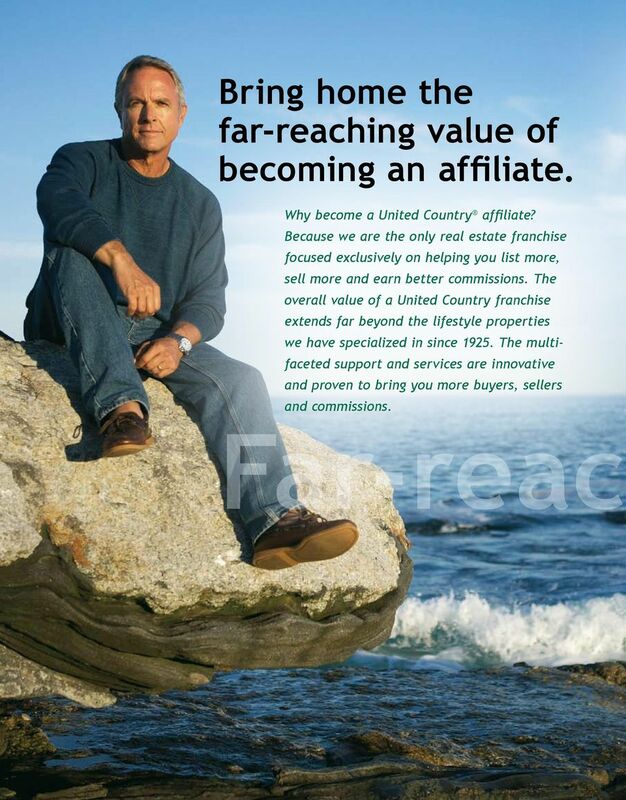 So United Country affiliates operate where there s nothing to hold them back. 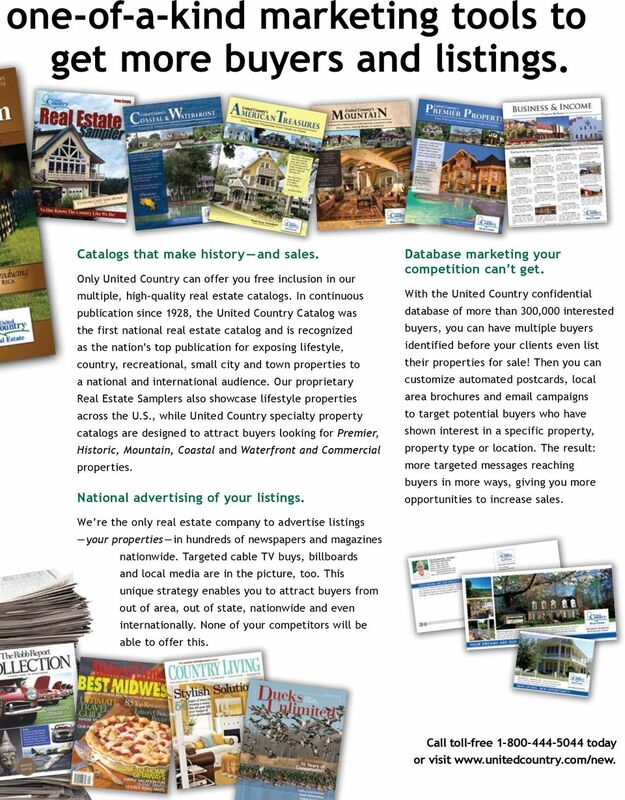 No wonder we achieve 99 percent affiliate satisfaction, 1 have consistently outperformed for more than eight decades, and are ranked #1 real estate franchise in the U.S. 2 1 United Country All Office Franchise Survey. 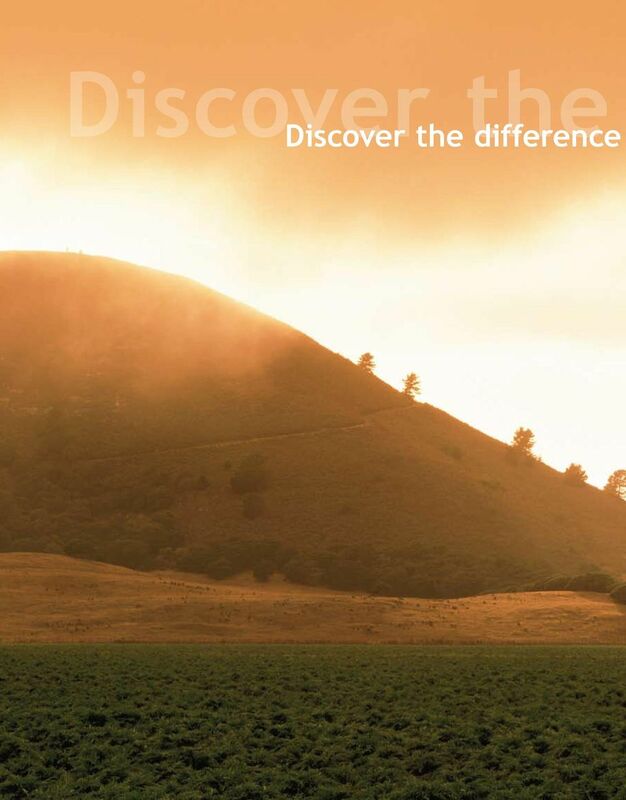 2 Dun & Bradstreet Top Real Estate Franchises, Wall Street Journal Survey of 2,500 Top Franchise Systems, Entrepreneurial Magazine s Top Franchise Survey. 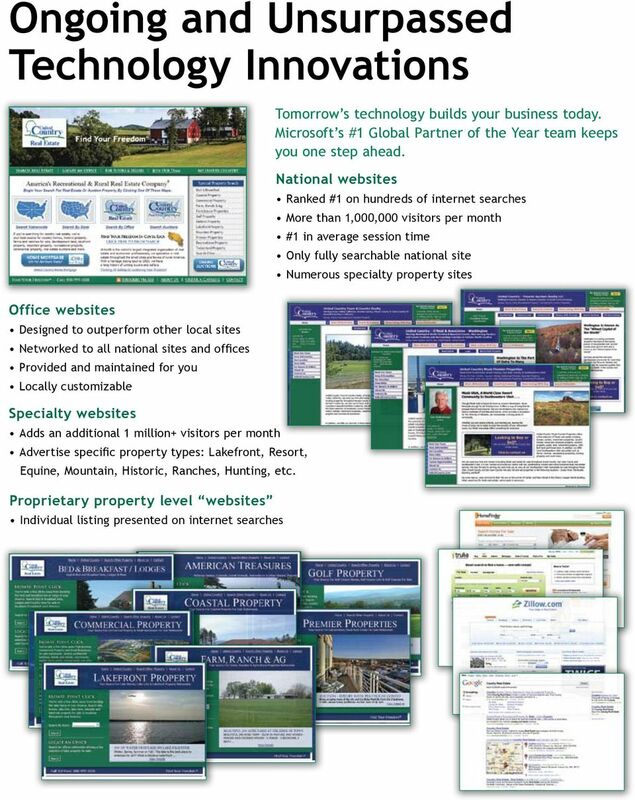 Do you want to represent the most respected and trusted online brands in the world? 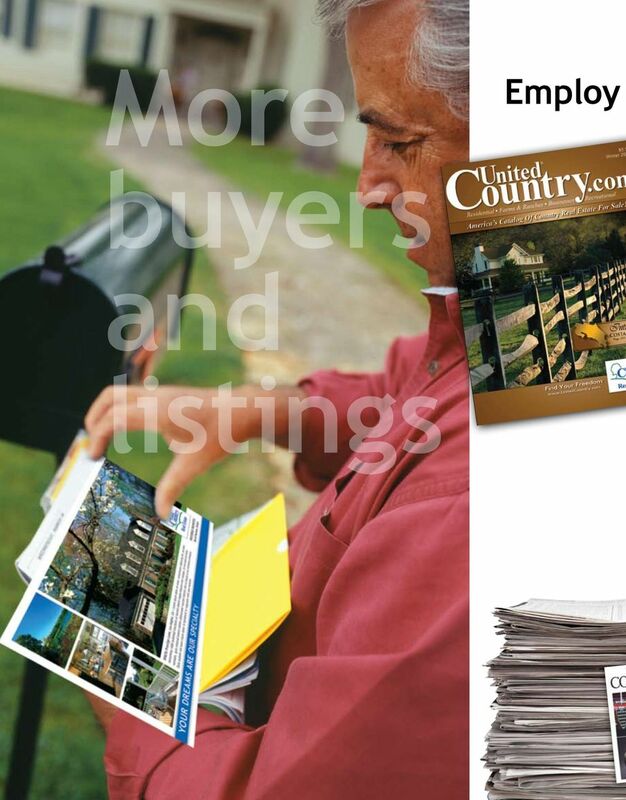 Multi-Touch Marketing: Print & Email Advertising Better Together!